Do you ever watch Titanic and whisper, yes, I want to be there, on one of the deadliest cruise ship disasters, as you gently caress your laptop screen on a paused shot of Leo DiCaprio’s face? Well, from Shanghai comes “Titanic Ship of Dreams... The Immersive Titanic Experience,” which, as the name indicates, is a fully interactive theater show that transports you back to that fatal trip in 1912. The show, which begins November 1, takes place on an actual ship that sails down the Huangpu River. The event was inspired by the interactive play Sleep No More and lasts around three hours, during which attendees can follow one character around exclusively, play characters themselves in the many story lines happening during the show, or just sit back and watch what’s happening from afar. Audience members are instructed to dress in early 20th century clothing and actually are slotted into different classes on the ship depending on their ticket price, just like the real deal! And for roughly 200,000 yuan ($30,000) you can actually play the part of Rose. Meanwhile, in Australia, a real-life authentic replica of the Titanic is being built by billionaire Clive Palmer. The ship will include Turkish baths and swimming pools like the original, but also new safety features to, you know, keep it from sinking. That ship is to set sail in 2018. The big elephant in the room for me is the question of whether or not any Titanic experience can really be a Titanic experience if the ship doesn’t crash into an iceberg. I mean, if I’m paying money for a Titanic show, that thing better sink. I want my show to be immersive, as in, I’m immersed in ice cold water by the end, fighting people off my giant door that surely other people can fit onto. 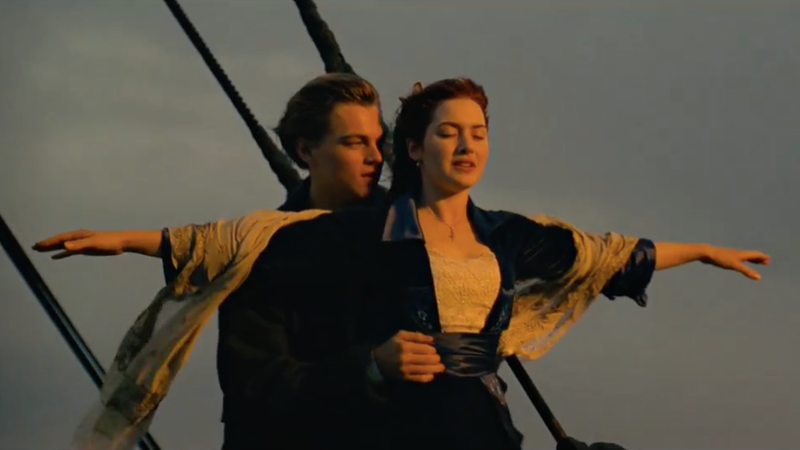 Which Character From the Second Half of Titanic Are You?